Xtreme Smooth White :- Advocate Xtreme Smooth White, has an opulent feel and a super smooth surface for optimum reproduction. It is guaranteed for all traditional print processes, as well as for laser printing, colour xerography and inkjet printing applications through both desktop and digital printing. 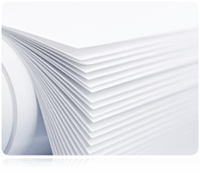 All Advocate card is suitable for embossing, film laminating, foil blocking, folding, varnishing can be used for laser printing, colour copying and inkjet printing. Other features and benefits are its silky finish of High White, but still gentle on the eye Opulent feel. The Advocate range of products is regularly used by our customers for wedding stationery, corporate identity, correspondence, folders, catalogues, books, brochures, prospectuses, programmes, report and accounts advertising materials. Xtreme Smooth Ivory :- Advocate Xtreme Smooth Ivory, with its soft shade, has an opulent feel and a super smooth surface for optimum reproduction. It is guaranteed for all traditional print processes, as well as for laser printing, colour xerography and inkjet printing applications through both desktop and digital printing. 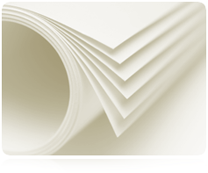 All Advocate card is suitable for embossing, film laminating, foil blocking, folding, varnishing can be used for laser printing, colour copying and inkjet printing. Other features and benefits are its silky finish of Natural Ivory or off-white shade, gentle on the eye Opulent feel. The Advocate range of products is regularly used by our customers for wedding stationery, corporate identity, correspondence, folders, catalogues, books, brochures, prospectuses, programmes, report and accounts advertising materials.